The next time you’re craving a juicy burger, you want to ensure it’s made from our beef brisket in Fredericksburg, TX. The flat cut of beef we use is considered a lean cut, and more importantly, it’s mighty tasty. It doesn’t get much simpler than throwing this meat on the barbeque or using it for chili in your slow-cooker. Our grass-fed beef provides a healthier alternative to grain-fed cattle. Grass feeding results in lower fat content and increased fatty acids, which lowers your bad cholesterol, so you can reduce the risk of having a heart attack or stroke. The fact that our beef is raised antibiotic-free provides an additional selling point. You won’t be eating meat that contains dangerous drugs or toxins, which results in a much healthier meal for you and your family. Your house tends to be a gathering spot for family and celebrations already. Now when you fire up the barbeque, you’ll find yourself beating them off with a stick when using our grass-fed beef. We think it’s the best meat for hamburgers hands down. The flavor and marbling set our beef apart from that of other companies. Our cattle graze on the same pastures they were raised on, which contain a wide variety of plant life for the best nutritional diet. Our company is committed to providing the best pricing possible. We’ll stay competitive, and our quality is second to none. Over time, we have tried to put together some packages to benefit you. We have, what we like to call, our Family Pack. As you can see, this package is quite diverse and sure makes for some great cooking. You’ll be the envy of everyone at the next family gathering if you show up with our Family Pack. No matter the occasion, using our quality grass-fed beef will add more flavor. We pride ourselves in the fact that our pastures are free from herbicides and commercial fertilizers. This, in turn, provides a healthier beef, which is better for you and your family. You’ll have peace of mind knowing that you are not ingesting a lot of chemicals. Reach out to our experienced staff today with any questions you have. 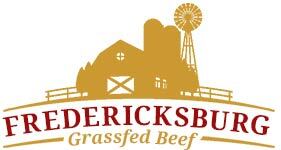 Contact our staff today about our grass-fed beef. We can help provide you with quality cuts of meat in Fredericksburg, TX and the surrounding area.